A couple of days ago, a brand new online magazine popped up on our web browsers and download queues. 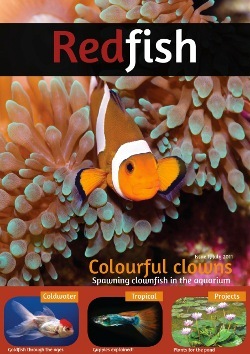 Called RedFish Magazine, this online publication comes to us from Australia and is available in three different versions, one for Australia and New Zealand, one for North America, and one for European hobbyists. 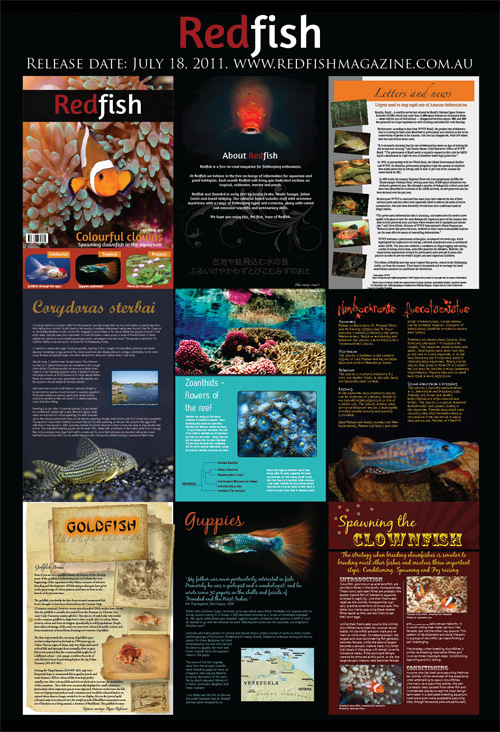 The magazine covers topics from both the freshwater and saltwater hobbies, and it is entirely free to download. The first edition is currently available to download and features two great articles covering saltwater interests. These include some great info on clownfish spawning and a nice writeup on Zoanthids. RedFish magazine is full of colorful layouts and tons of images, giving us one more reason to spend countless hours reading about aquarium stuff. Below is a preview of the first issue of RedFish Magazine.